Legolas - The Hobbit: The Desolation of Smaug (Live Event Excerpt). . Wallpaper and background images in the Legolas Greenleaf club tagged: the hobbit elf prince legolas greenleaf. 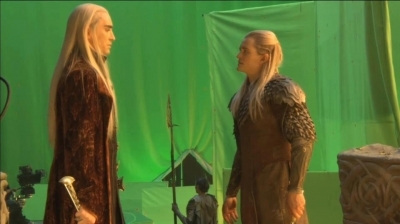 This Legolas Greenleaf photo might contain berpakaian seorang, guaman, seluar guaman, pantsuit, orang baik berpakaian sut, and penekan seluar.